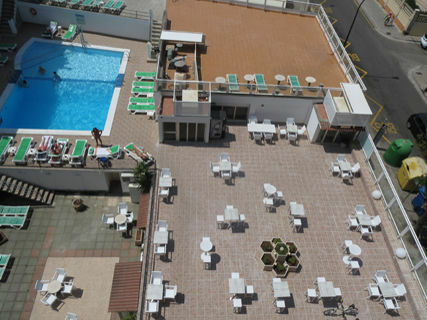 The Hotel Amic Miraflores is located in front of Playa de Palma, Can Pastilla. 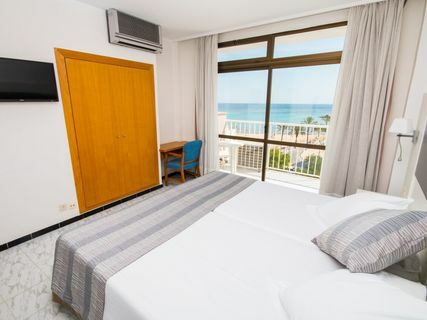 The hotel is well connected by bus and the highway, free Wifi, 2 km from Palma airport Enjoy the rest in your holidays to Mallorca in our hotel, go to the beach just 40 meters away or stay and enjoy our pool / solarium. Amic Miraflores Hotel offers facilities for the practice of skating on the promenade along the beach, cycling, car rental or enjoy your favorite sport on our beaches. The nightclubs and most famous nightclubs in El Arenal are also within walking distance and just 9km from the promenade of Palma. In its 69 rooms have a bathroom, telephone and terrace or balcony. We encourage our superior rooms with sea views, wifi, tv, hairdryer and safe. We offer 2 types of rooms: Single and Double with sea view or without sea view. 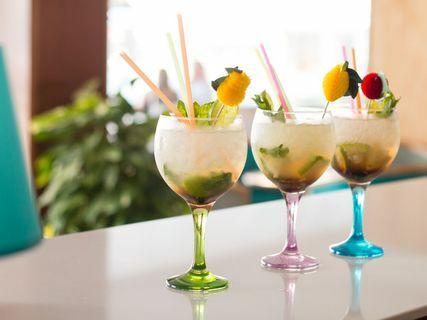 Or ask you choose which one best suits your needs during your trip to Mallorca. The restaurant service for lunch and dinner takes place at the Hotel Amic Gala, in front of this hotel.